Why countries choose different exchange rate arrangements and how these arrangements affect domestic monetary policy control and macroeconomic stability are questions of substantial interest to policy makers and researchers alike. The countries of the Pacific Basin region offer a wide variety of examples for the comparative study of the implications of different exchange rate arrangements. 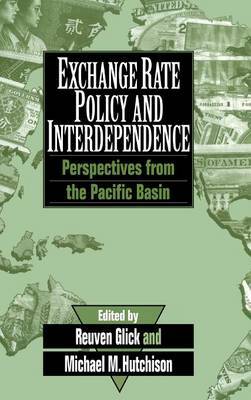 The essays in this volume examine the degree of financial interdependence and the conduct of exchange rate and monetary policy among Pacific Basin countries. The essays address four broad issues: one, the degree of regional financial market integration in the Pacific Basin, two, the implications of choosing different exchange rate regimes for domestic macroeconomic stability, three, the effect of exchange rate intervention policy on the conduct of domestic monetary policy, and four, the prospects for a yen currency bloc. Some of the essays focus on the national experience of specific countries in the Pacific Basin; others adopt a cross-country comparison approach.